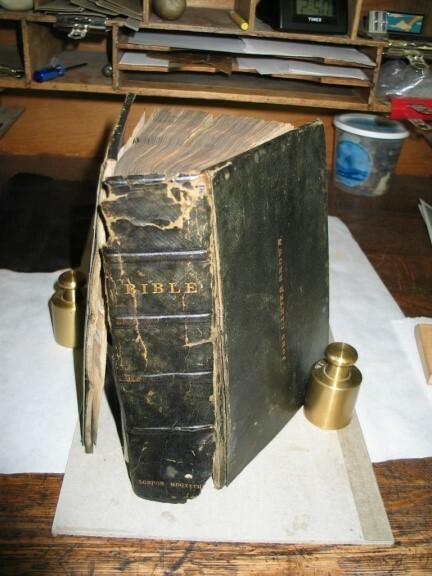 Restorations and repairs of bibles generally come in two forms. 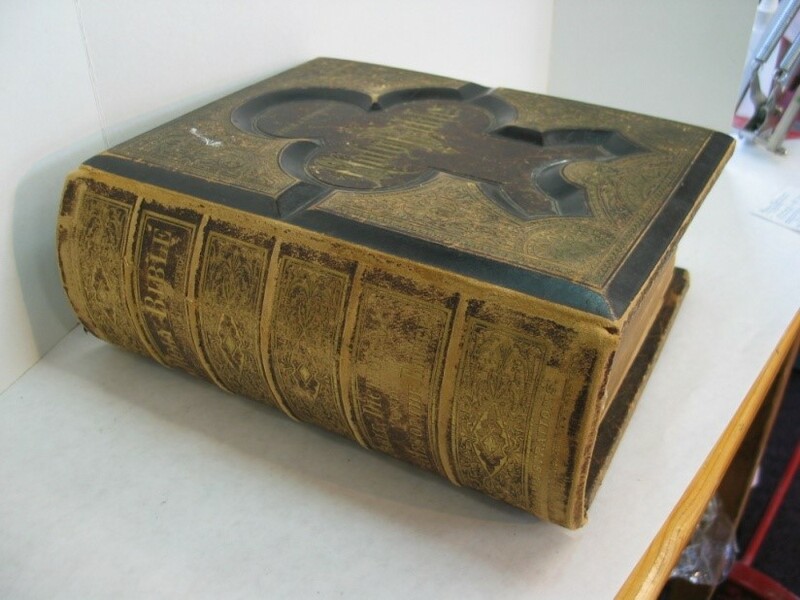 Historic, leather-bound, oversized family bibles, and smaller daily bibles with soft covers that see regular use and often have personalized marginalia. 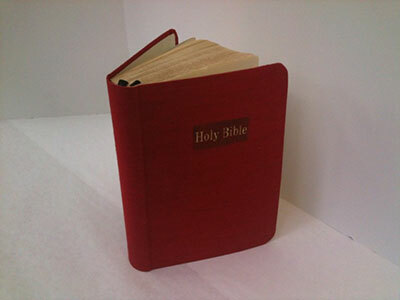 Daily Bibles generally receive a new flexible case covered in archival book cloth and includes minor repairs to the pages. The average cost for this is between $150 and $200. 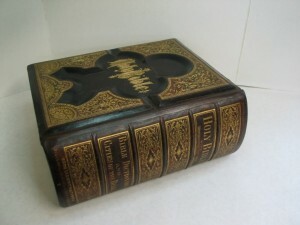 More page repair can add cost on top of this. Color choices vary depending on what we have in the shop. We will always have black. 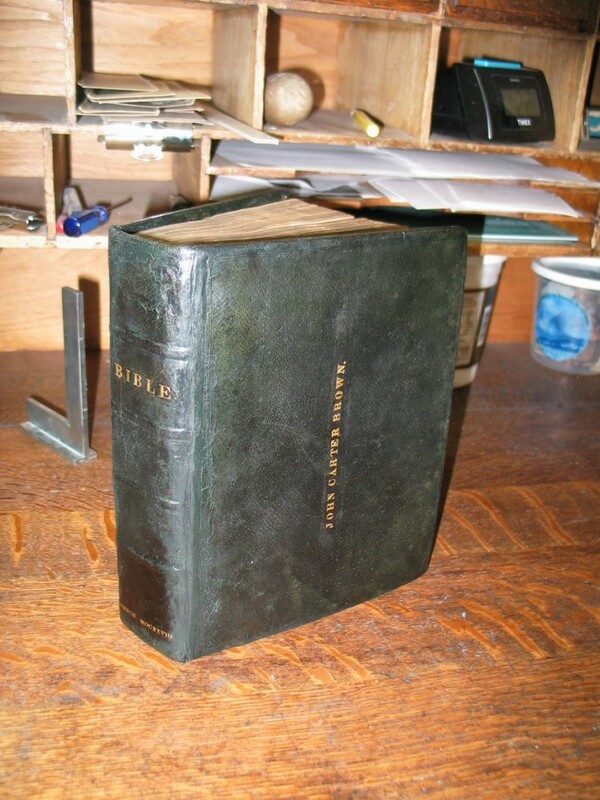 For an additional 100$ a daily bible may be bound in leather instead of cloth. 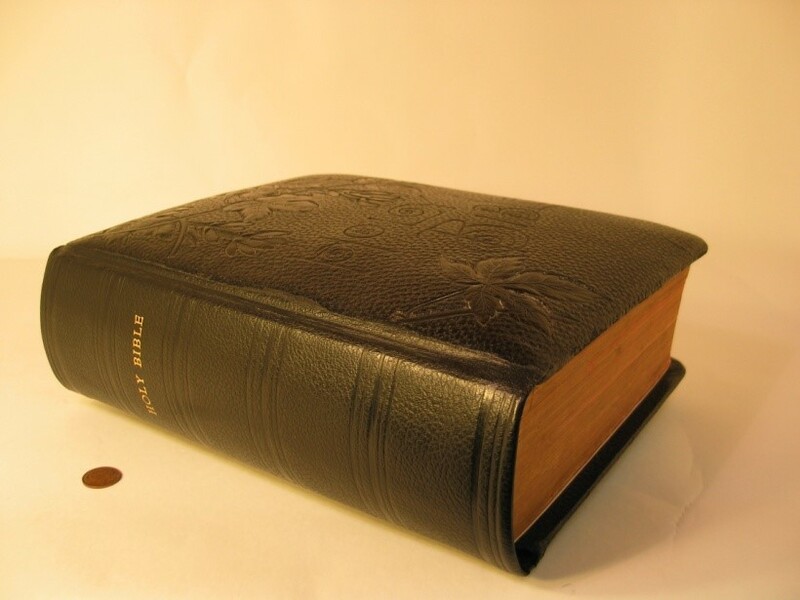 Most daily bibles these days are made with bonded leather which is not a skin from an animal. 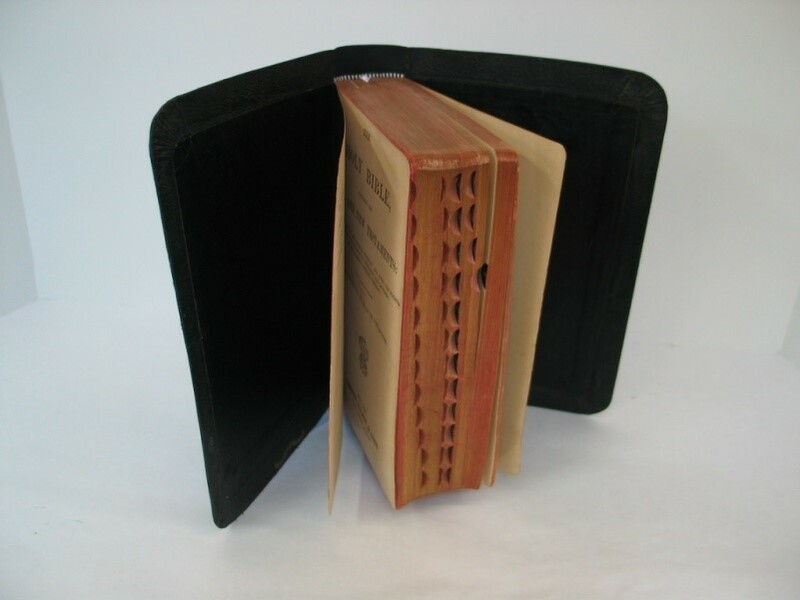 It is leather dust that has been re-formatted to look like leather. It is very weak and is not archival. 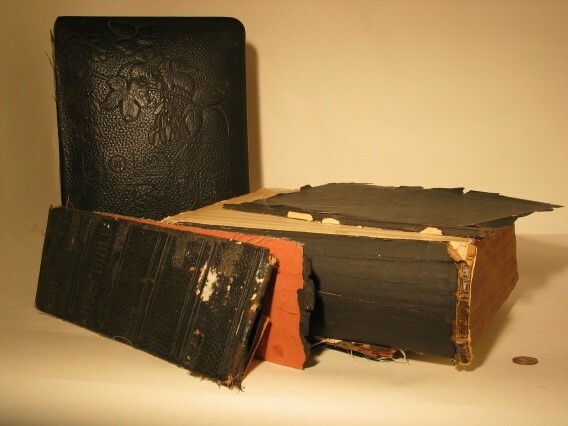 Restoration of a large leather-bound bible has a greater range of cost because the client has more options in choosing higher-end materials and more time-consuming methods resulting in a more painstaking restoration. To restore to a large leather bible, expect to spend between 250-600 dollars. 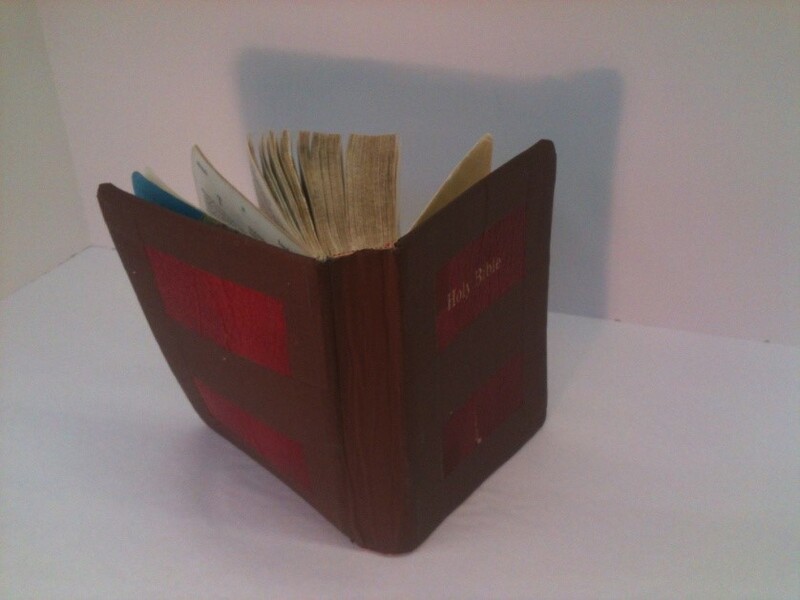 For leather bibles, please submit photos for a more accurate estimate. 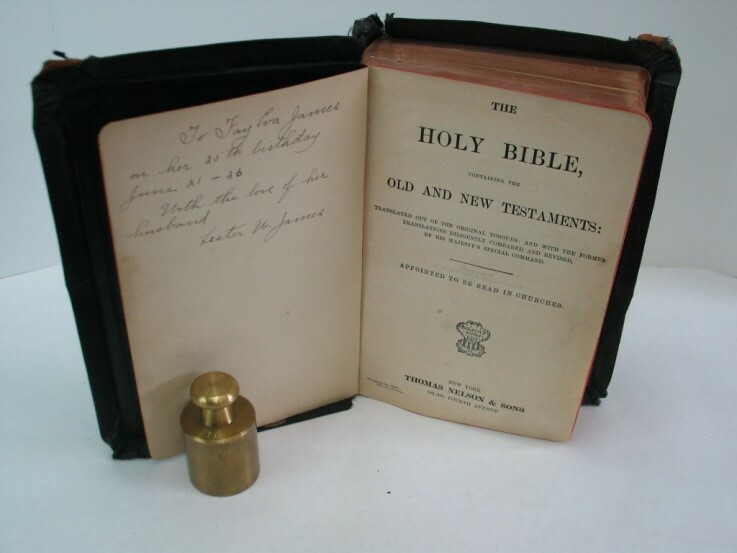 We know that the most important part of a family bible is the history. 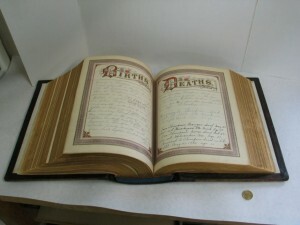 We make high resolution scans of each history page and e-mail them to you.